Miquel Barcelo, Helen Gregg, and Jonathan Gunning. The play also features music by Miquel Barcelo, with set design by Orla Clogher, costume design by Elaine Mears, puppet design by Suse Reisbech, and lighting design by Ciaran Kelly. 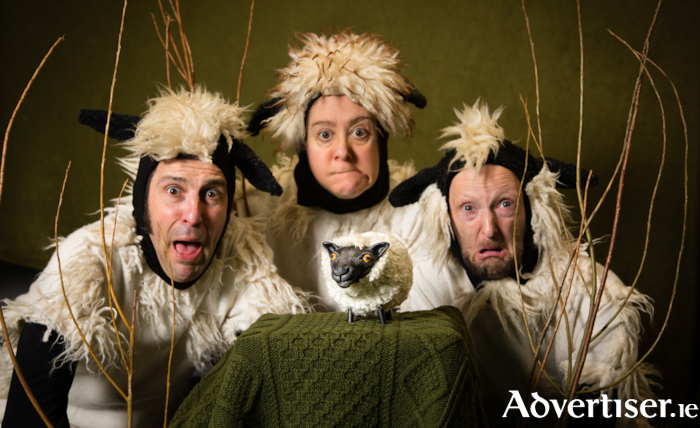 Woolly's Quest is on Thursday March 21 and Friday 22 (10am and 12 noon ) and Saturday March 23 (3pm ). It is suitable for those aged four and over. Tickets are from the Town Hall (091 - 569777, www.tht.ie ).